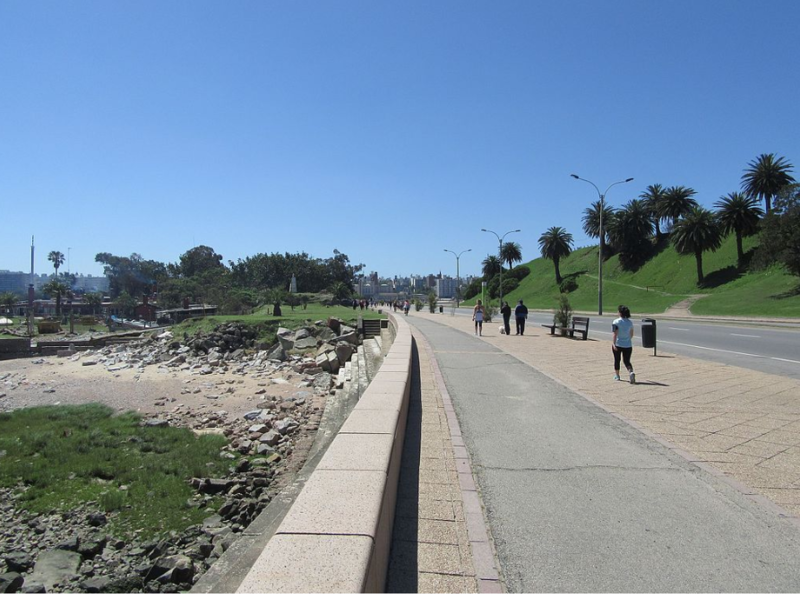 This week Pegman has wandered down to Montevideo, Uraguay on the southeast coast of South America. You’ll find an abundance of streets to wander down for inspiration on Google Maps. Your mission is to write up to 150 words inspired by this week’s location. Feel free to use the photo provided with the prompt. or roam Montevideo for your own inspiration. Once your piece is published, share it with others using the linkup below. Thanks to Karen and Josh for hosting this here weekly shindig! This entry was posted in What Pegman Saw, Writing and tagged La Rambla Sur, Montevideo, Uruguay. Bookmark the permalink. A snipped in the day of the life as only you can tell it. Happy to be along for the ride…or half marathon as it were. 😉 Well done. Glad it seemed to work! Good job, Dale. I vote bike as well. There is a limit to fun. Indeed. When it starts feeling like work, it’s it fun anymore! Depends on how much one feels work is fun. Excellent research …. and I’d walk it! Very entertaining story, Dale. 22k is a seriously long walk. I think I might try a bike instead! Same here.. glad you were entertained! Is it not enough that they’re in a culturally significant place? LOL. They made the right choice in biking rather than hiking. Because I’m thinking the latter may have ended with an Uber. If there even IS Uber in that neck of the woods, that is . . . It IS kinda refreshing to think that Uber and Starbucks don’t rule the WHOLE world. There are still vast wildernesses . . . It sometimes feels like they’re everywhere lol. And yes . . There are. I read it on the internet. . .
Hm. Maria is the one with cojones then. I wouldn’t fancy telling a Latin male that he was a cobarde! Nice story, Dale. Liked the dialogue as a way of telling the story, and get a feel for La Rambla. Nice one Dale.